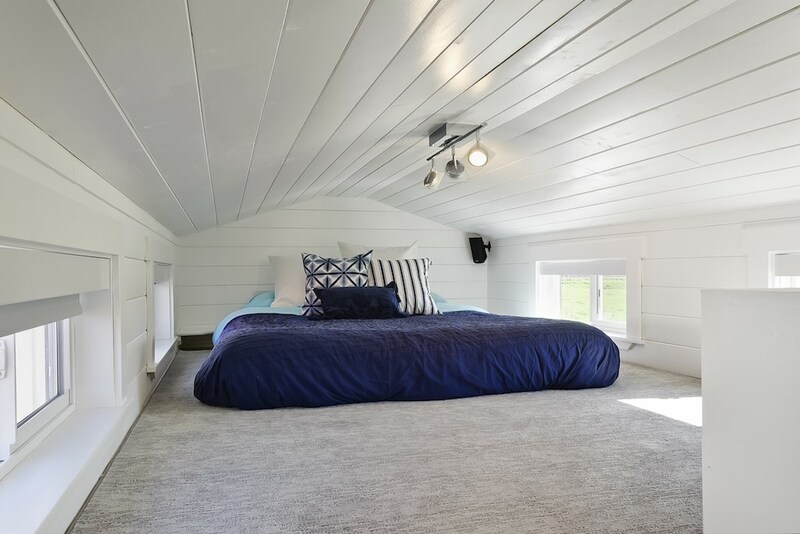 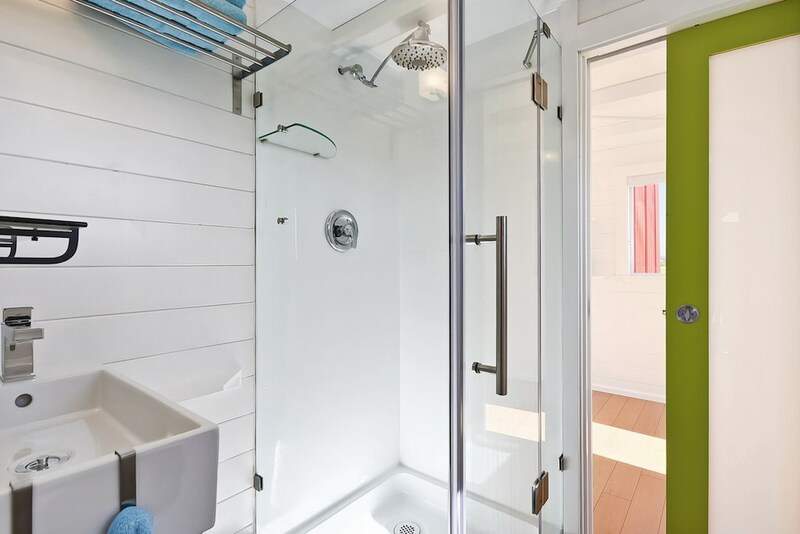 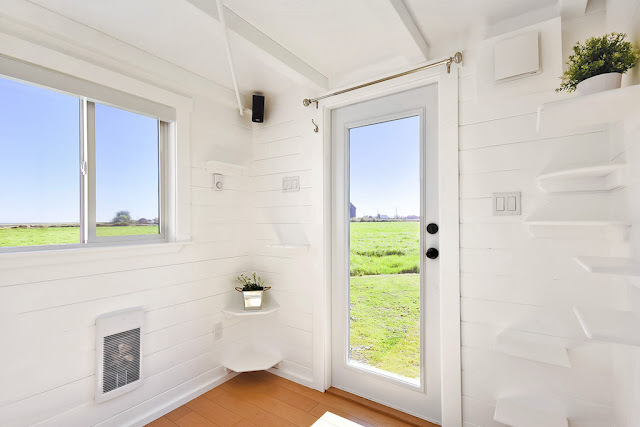 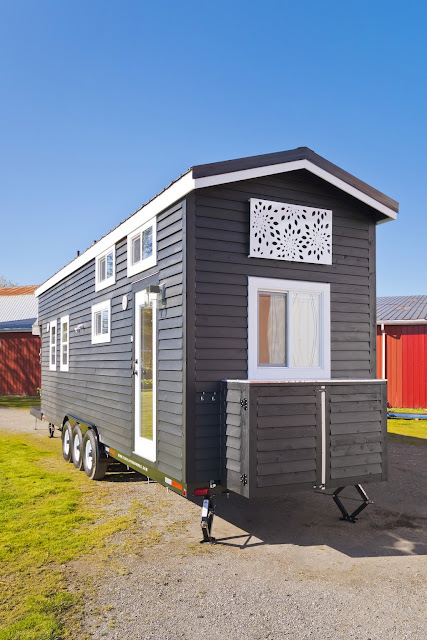 A cute, custom tiny house from the Mint Tiny House Company (formerly Tiny Living Homes). 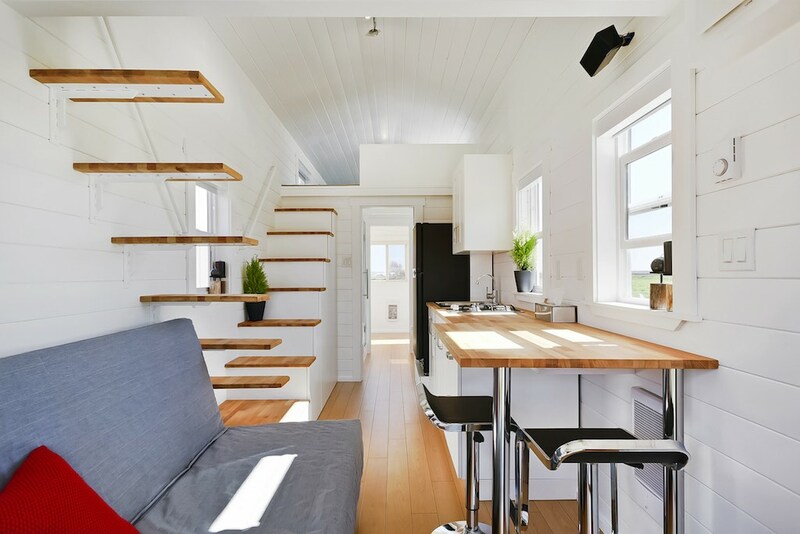 The home measures 310 sq ft between its ground floor and two lofts. 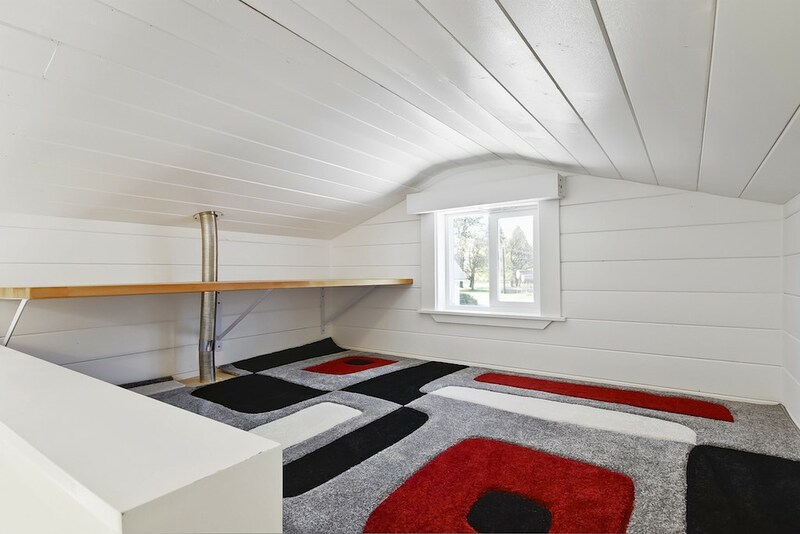 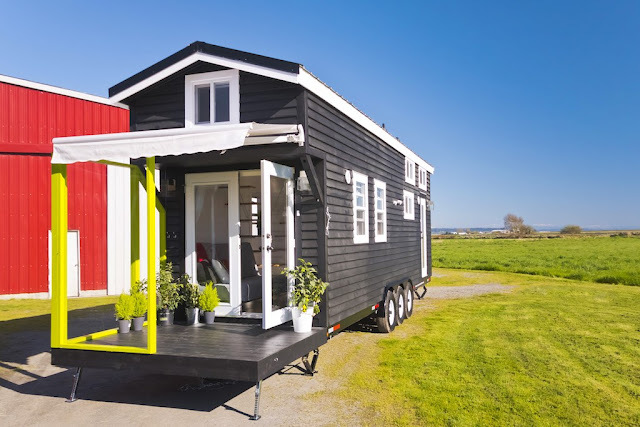 It also comes with a small porch in the back that can be folded against the home for transport. 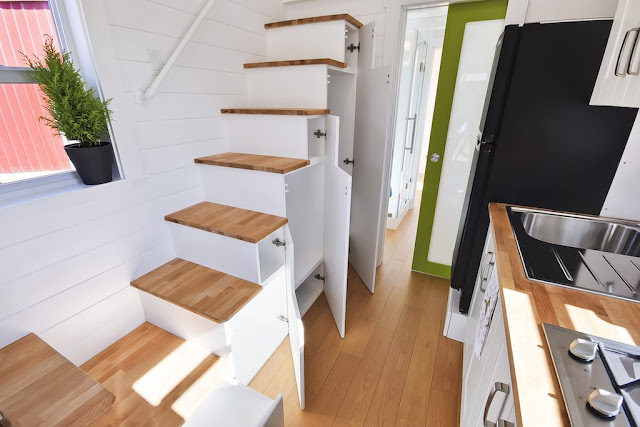 There's also a full kitchen, a bathroom that doubles as a laundry room, dining space, a comfy living room and two loft spaces. 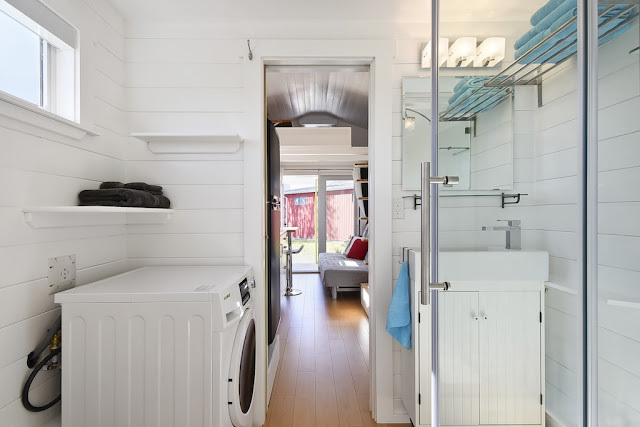 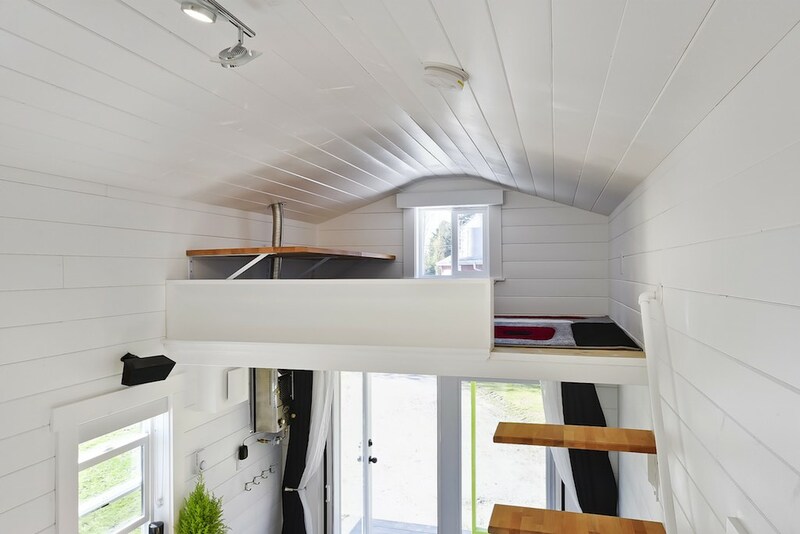 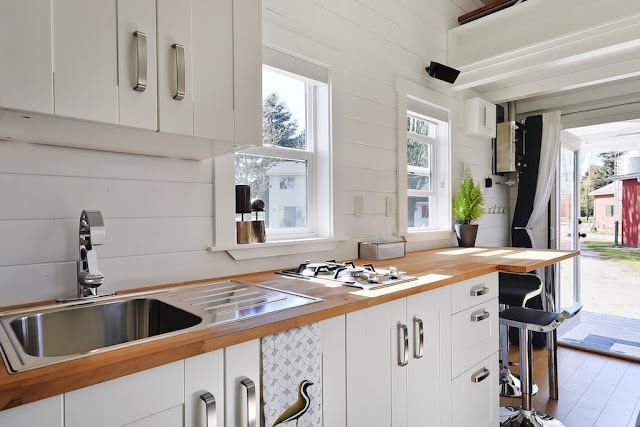 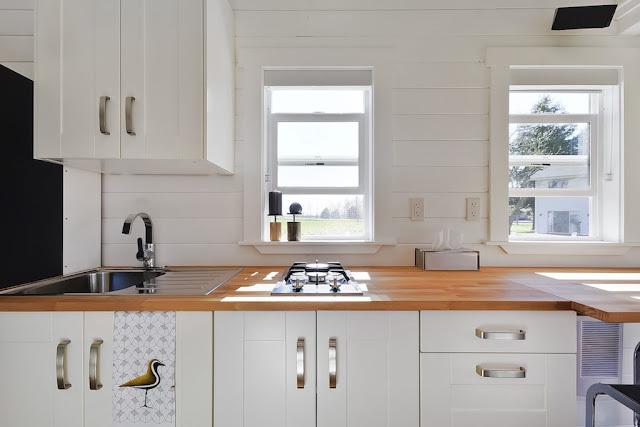 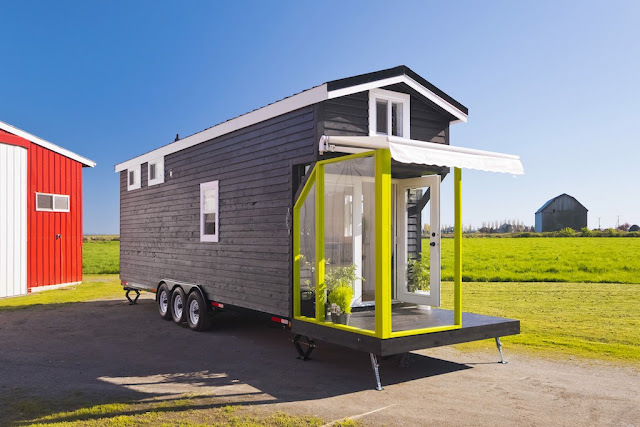 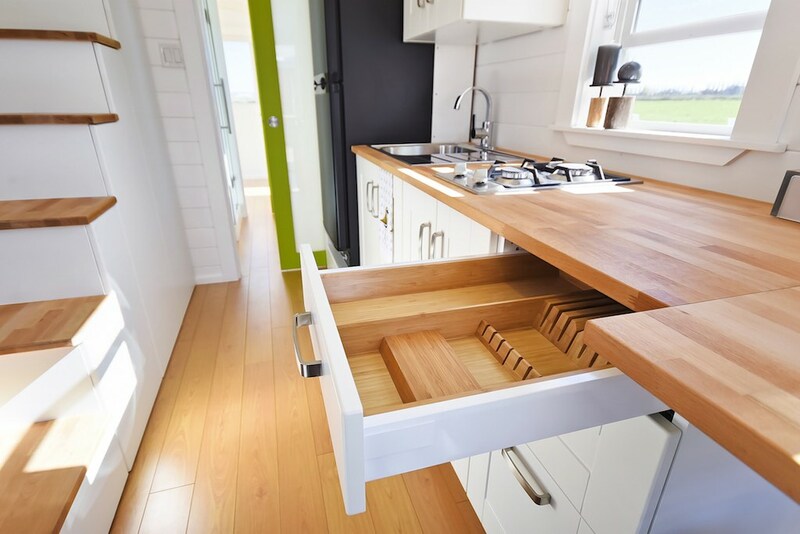 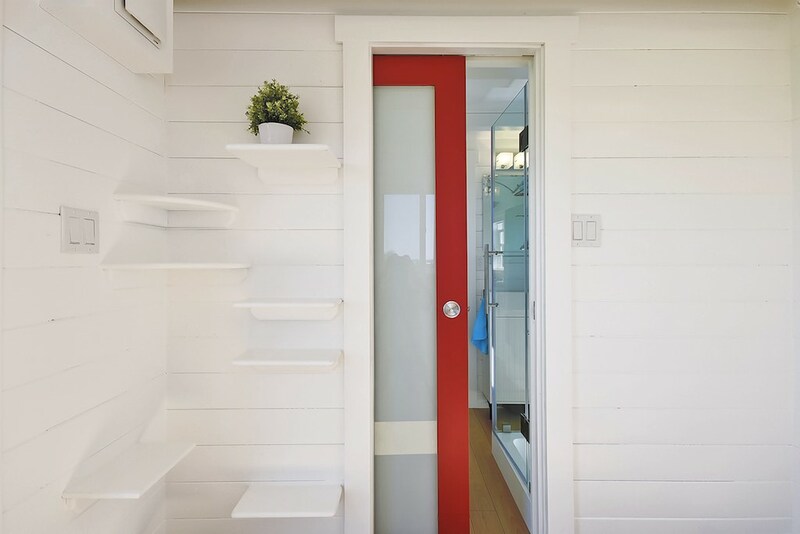 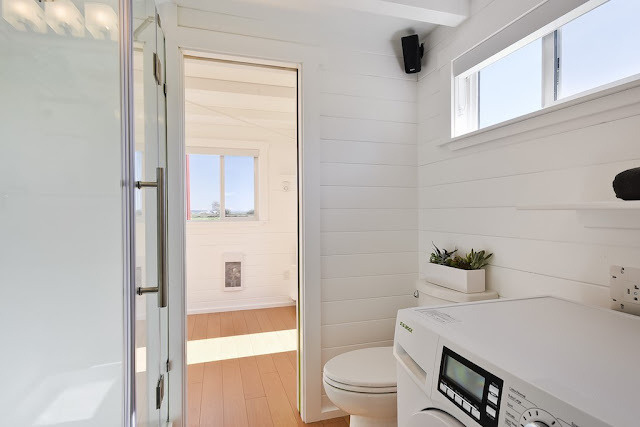 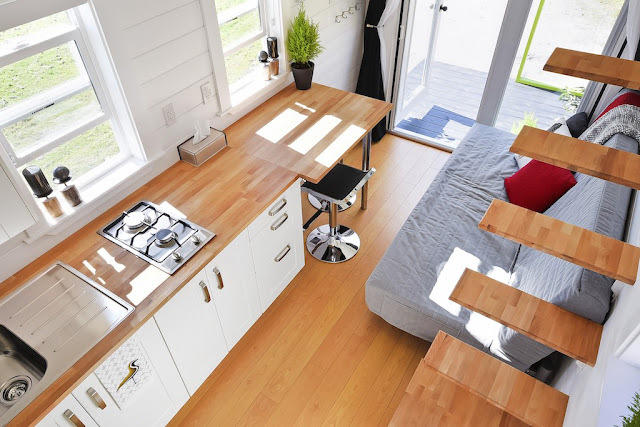 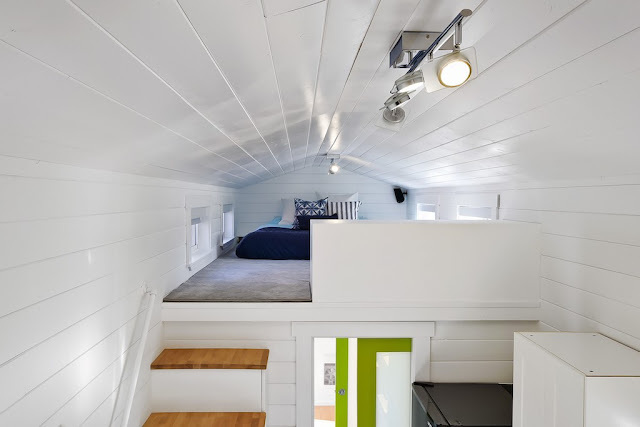 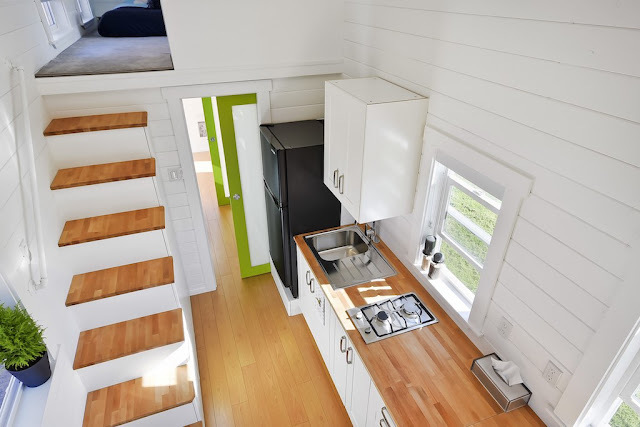 Tiny Living Homes is based in Delta, British Columbia. 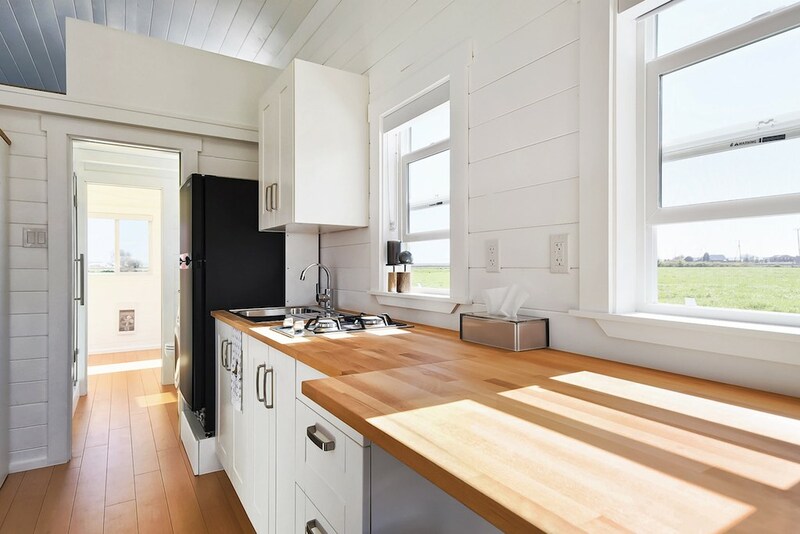 They offer both custom and pre-designed homes. 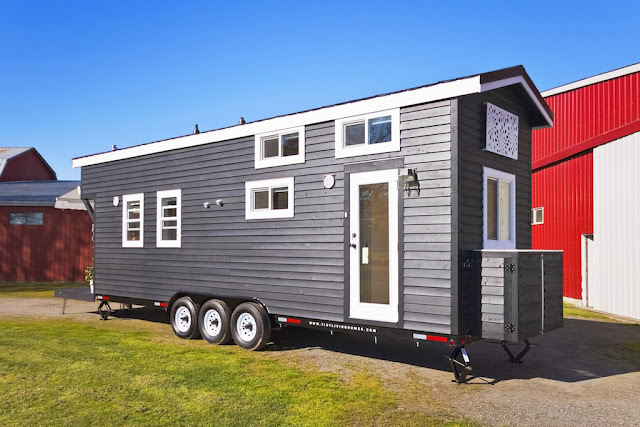 There's also shipping available to the States in case you're south of the border and would like one.